Laser Cut Printed Advertising Flag for “Machines Replace Human” Change! As an excellent exhibition display equipment, advertising flags are being used more and more in various commercial advertising activities. 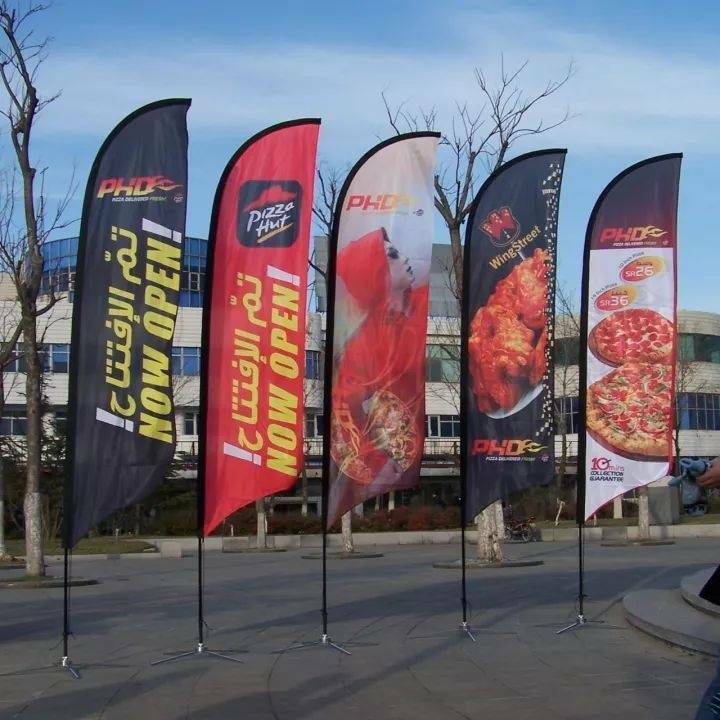 And types of banners are also varied, water injection flags, beach flag, corporate flag, antique flag, bunting, string flag, feather flag, gift flag, hanging flag and so on. As commercialization demands become more personalized, customized types of advertising flags have also increased. 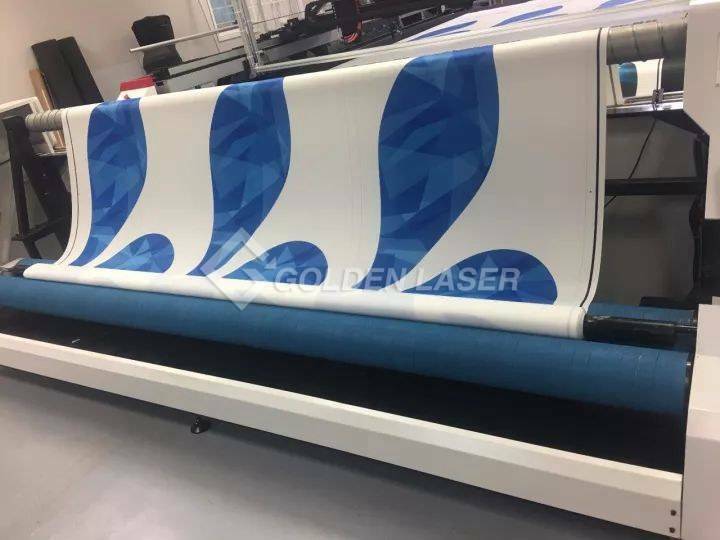 Advanced thermal transfer and digital printing technology in the custom banner ads prevail, but do not match is still a very primitive cutting. The first cut - 3 to 4 people put the printed banner on the big table. Use scissors to cut the material for the first time. But these are only applicable to the rules of the square, rectangular flag; How to process shaped flag? It is used for thousands of years of scissors! 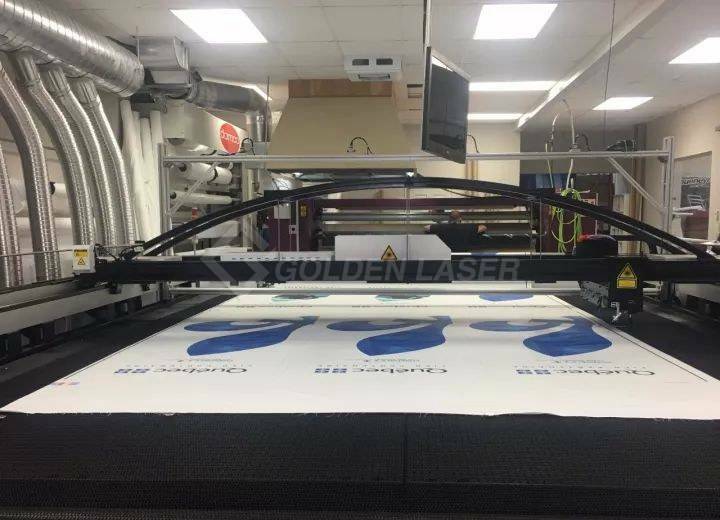 However, these cumbersome manual processes, in fact, can be completed with a full set of machine, that is, GOLDEN LASER – Vision Laser Cutting Machine ! Accuracy within 0.5 mm, one time cutting into shape! The only thing that workers need to do is put the printed fabric into rolls feeder and lay it flat on the machine, over! Repeat the above workflow automatically! Our users tell us that in the traditional way to handle a roll of cloth, you need at least four people, at least need scissors rough cutting, hot knife alignment cutting and fine cut with scissors before sewing. Finally, because the advertising flag is polyester pongee, warp knitting fabric, satin fabric or mesh fabric, have to deal with the edge. It took 8 hours. 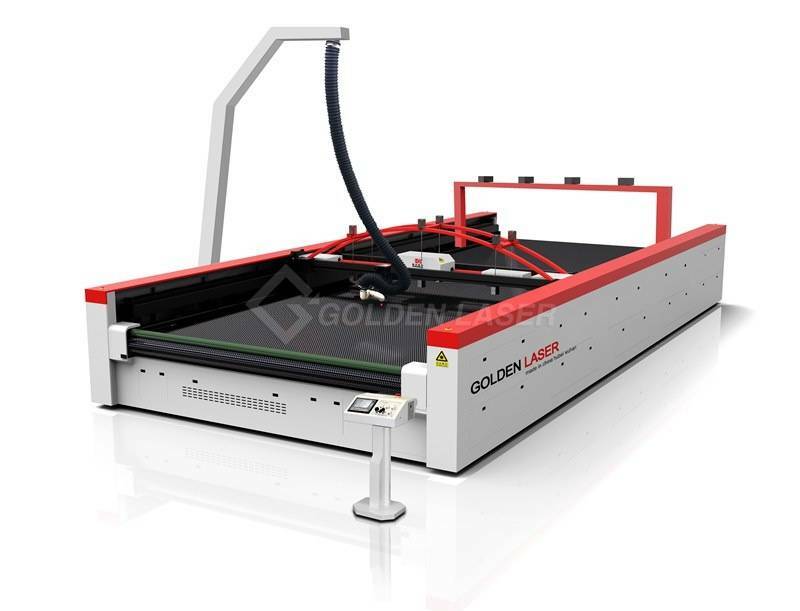 The vision laser cutting machine only need 1 person and 1 hour can be completed. A cut can be accurate to within 0.5mm, laser thermal processing smooth and automatic edge sealed. Improve labor productivity and product quality rate.